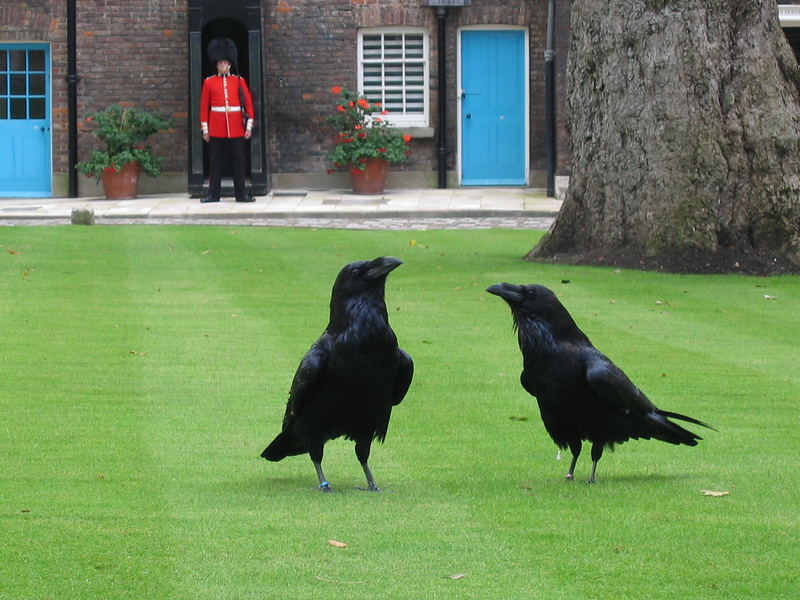 Why are there ravens at the Tower of London? | What can I learn today? Why are there ravens at the Tower of London? Today’s knowledge quest started off with a focus on Blackadder. Specifically I had it in my mind to find out who wrote Baldrick’s infamous line “I have a cunning plan My Lord”, which so often preceded disaster by mere seconds. Yet in a strange twist of fate, I ended up veering well and truly off course. And it’s all Wikipedia’s fault. You see I was reading up on Baldrick when I came upon a suggestion one of the Tower of London ravens was named for the character. And while the inspiration doesn’t seem to have ever been formally acknowledged, it’s held to be true. So clearly, ravens are a serious business at this most English of historical/tourist attractions. And I wanted to know why. The answer lies back in the hands of time, with a legend that says the kingdom will fall if the birds ever leave. So Charles II, who ruled in the 1600s, decreed there must always be at least six in residence. Responsibility for maintaining the status quo falls to someone called the Raven Master, whose responsibilities range from trimming their feathers to feeding them 6oz of raw meat and blood soaked bird formula biscuits every day.plus an egg once a week and an occasional rabbit (apparently the fur is good for them). Here’s a few other raven facts.. The tower’s oldest ever raven resident was Jim Crow, who died at 44. Escapes are rare but do happen. One bird, appropriately called Grog, was last seen outside a pub in 1981. There are also occasional sackings such as George, who was let go in 1986 because he kept chewing on TV antennas. As you do. And now for a moment of Baldrick. ← What it’s like to be made redundant?